Purpose: Use this document as a reference for splitting and updating transaction lines when reconciling P-Card transactions in ctcLink. 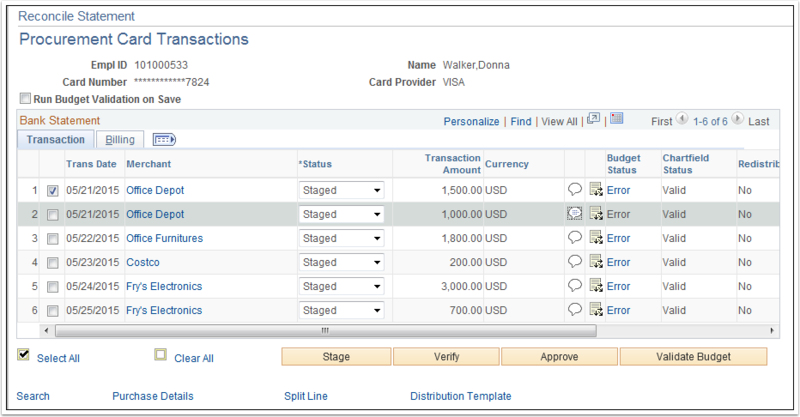 You can split incoming transaction lines to provide greater detail in your Reconciliation actions. 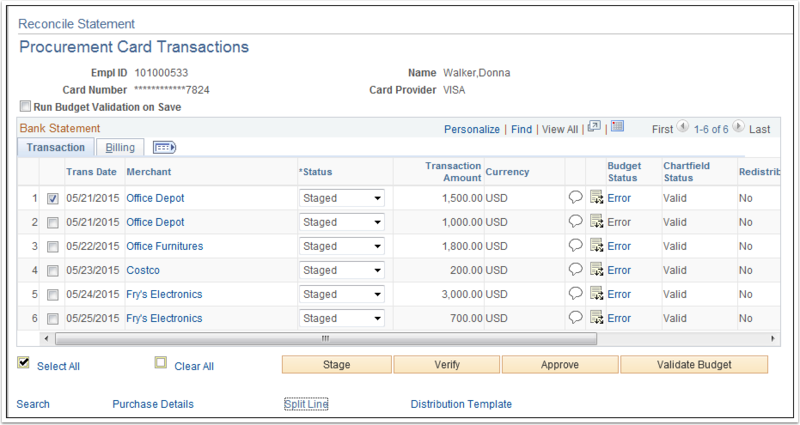 Use the Selection checkbox to the left of the line you want to split to select one of the transaction lines. Click the Split Line link at the bottom of the page. Enter an appropriate description (for both items as necessary) to identify what the new splits represent in the Description field. Distribute the original amount between the BillingAmount fields. Note: The Percentage fields will recalculate. Billing Amount fields must total 100%. Note: There are now two line items for the same (original) Merchant and Trans Date. Click the Comment button to add a comment to the split lines. Add your comment in the Comments field. To complete reconciliation processing of P-Card transactions, refer to QRG Reconciling P-Card Transactions/Statements Manually.